One of Ireland's finest singers, Paschal Brennan brings his tribute to the greatest Irish Rock and Roll singer of his generation, Joe Dolan. "If I closed my eyes I could have swore that it was Joe Dolan who was on stage". "The clear tones of Joe Dolan came through in Paschal's voice". Hear all of Joe Dolan's greatest hits in this highly acclaimed tribute. Not to be missed. 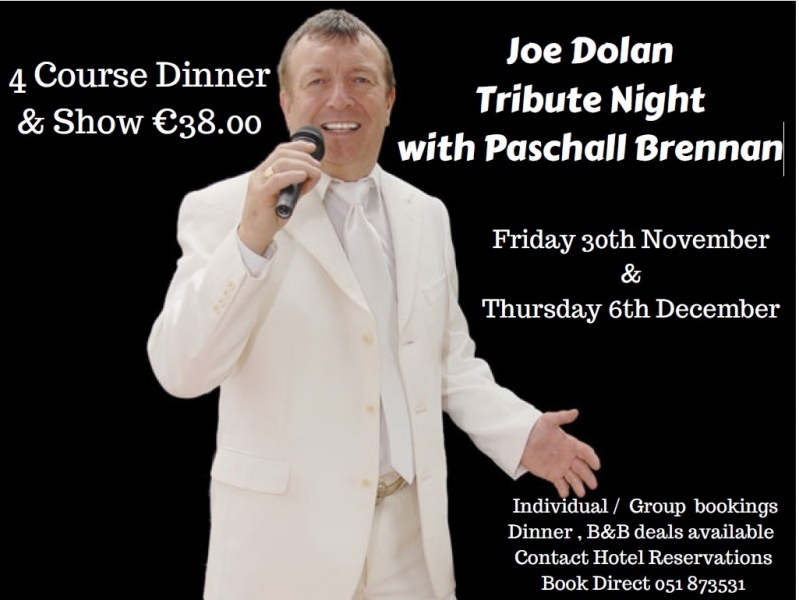 Get your group of friends together for dinner and a night Pascal Brennan is Ireland's Top Joe Dolan Tribute night.